Mortgage lenders guided by honesty & integrity. As home lenders, Fellowship Home Loans pride themselves on always doing the right thing for their clients and those that follow them on the radio. We work tirelessly to find the right product for every client’s needs. 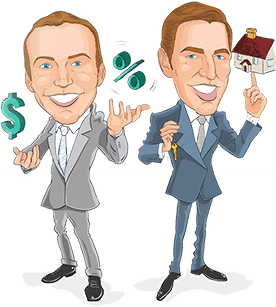 When doing so, we provide multiple options and take the time to explain the benefits and drawbacks of each option so clients can make informed decisions about their home loans. FHL leadership have been in the radio and mortgage industry for more than ten years now and have worked hard to fulfill their clients’ goals and ambitions in buying a home. We offer loans of the same terms to applicants of all faiths and religions. Fellowship Home Loans offer clients multiple choices whether they are purchasing or refinancing a home. With over a decade of experience as home mortgage lenders, we are ready to walk clients through everything they need to know, from navigating adjustable rate mortgages to applying for FHA financing. Unlike other lending companies, our core values are a key part of our complete dedication to getting clients into their dream homes through financing that is right for their lifestyle.